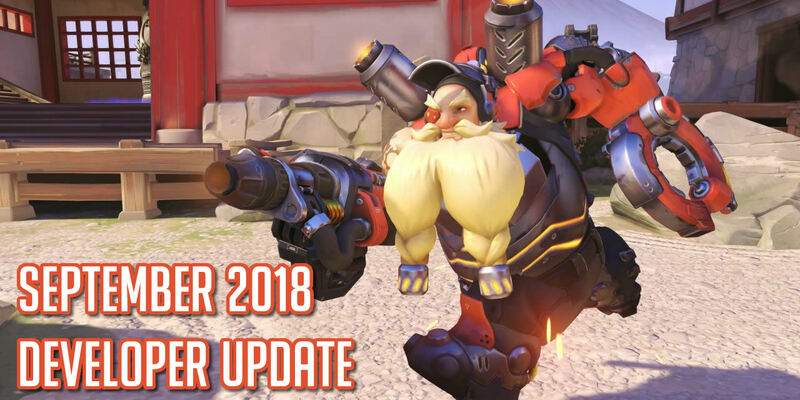 Overwatch’s Jeff Kaplan has released the September 2018 developer update. The main update being a Torbjorn rework. Torb will no longer have armor packs or scrap. Torb will also have a new ability called “Overload” which is similar to the ultimate “Molten Core” Torb had prior to the update. Overload will give Torb temporary damage restistance, fire rate buff, speed buff, and armor buff. The new Torb ultimate will still be called Molten Core and it will cause Torb to shoot 10 napalm globs in AoE puddles on the ground that linger and cause extra damage to armor. The napalm will be used as an area denial style ability. All Torb turrets are equal to level 2 turrets. This means you no longer have to hit your turret with your hammer. Once a Torb turret is placed it will automatically become a level 2 turret. Turrets have a small build time and can be tossed a short distance. Turrets will focus on targeted enemy. Torbs rivet gun has been tweaked to improve consistency by increasing accuracy and projectile speed, but decreasing actual damage. Halloween event will have Junkenstein Monster’s Bride – However, the even will be basically the same event as last time on purpose because they are focused on balance changes at the moment.